Drum roll please – the team at Le Race welcome Placemakers as the new Naming Sponsor for Le Race – exciting times ahead for Le Race – so dust that bike off, grab your helmet and start training. 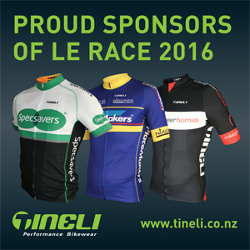 PlaceMakers are proud to be partnering with Le Race and look forward to being one of the bunch racing with you from Christchurch to Akaroa next March. HireKING is jumping into the saddle. We are fairly new to the cycling world and what better way to get involved than to support Christchurch’s premier cycling event. Although you won’t see us on a bike just yet, we will be along for the ride. Click here to visit the website. The latest in our premium sports nutrition range, PURE Endurance Hydration has been scientifically formulated to rehydrate and replenish your body while exercising for extended periods of 2 hours and over. Perfect for those long training rides! 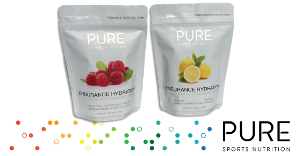 PURE Endurance it is a premium hydration drink using real fruit, carbohydrates, electrolytes and New Zealand 90% whey protein isolate. The addition of the whey protein isolate helps replace protein stores in the body, making it ideal to support working muscles during extended exercise. Great taste, refreshing and easy to digest. Summer starts here with Les Mills $14 for 14 days! Come out from under your layers. Slap down 14 bucks for 14 days, and kickstart your summer - with our world famous group fitness classes, high intensity 30 minute workouts, top-of-the-range equipment - and everything else you need to warm up, tone up and feel great this summer. ​Dole are delighted to be involved with Le Race again for 2016 and to provide our Bananas to all the athletes that register and cross the finishing line. Dole Bananas are the natural and convenient race food high in natural sugars, carbohydrates, Potassium, Fibre and Vitamins. Dole wish all Le Race entrants all the best for the hard training over the next few months, don't forget to put a couple of Dole Bananas in your pockets. Thinking of the Tour de France! Join us in 2016 for a ride of a lifetime and experience the ultimate TDF. Cycle the year 2000 race - 3600 km over 35 stages instead of the original 21! The Global Cycling Adventures team are also providing an amazing spot prize on Le Race day - a spot on the Sardinia leg of the new Sardinia/Corsica tour for travel next year! See you on Saturday 19th March to be in to win! Ronald McDonald House is Proud to be the Charity of Choice for Le Race. When a child is sick it is vital to their healing process that their family is close by. Our mission is simple, to improve the health and well being of hospitalised children by providing free accommodation and support to their families. We know families are stronger when they are together and support from people like you is what helps us to keep them that way. Thank you for allowing families to concentrate on what matters most - helping their children heal. Get Your Le Race Kit! 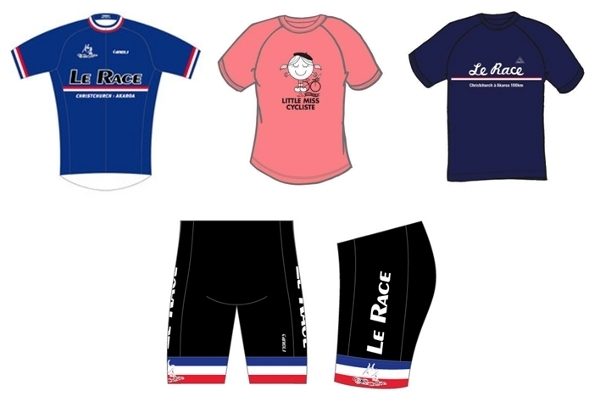 The Le Race online store is having a big sell out - up to 25% off so click here to grab yourself the 2015 kit. The Pioneer have just launched a new 3 day option, the 3 Day Traverse (click here), as part of the inaugural Pioneer event. The 3 Day Traverse takes everything that is great about The Pioneer and distils it down to 3-days of intense but achievable MTB stage-racing. Linking together farm tracks, NZ Cycle Trails, double track and single track riding it will take you through the best the Southern Alps has to offer and to parts of the country that few will ever get to enjoy. Soaring mountains, crystal-clear blue lakes and golden high country await! Don’t forget, also on offer are The Pioneer Day Rides. Open to all, these rides traverse sections of the South Island that will leave you breathless, as you experience stunning views and awesome mountain biking terrain. 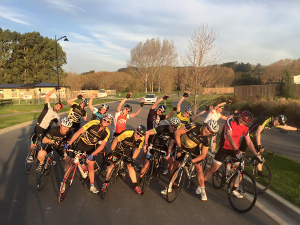 Christchurch Ride – 31 January 2016. Queenstown Ride – 6 February 2016.